Our team will discuss the benefits of our products with you, the, Home-Owner, Builder, Architect and Engineer. Our systems are light-weight construction and fast to install. This means savings on materials, building costs and time. You will only require one crew to complete the super-structure. 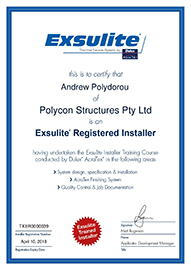 Our systems eliminate the need for other trades and materials used in timber or brick construction. 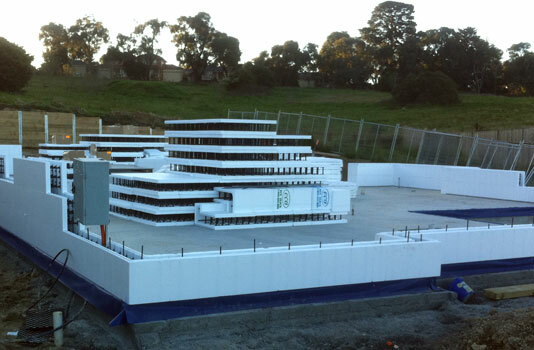 The building systems in our portfolio are Eco-Block, and QT®EcoSeries Wall Panel. Choosing to build with our building systems you too are making a conscious awareness to protect our future. Sustainable development should meet the needs of today without compromising the ability of future generations to meet their own needs. As energy savers, our building system offers protection from heat, cold and moisture. The greatest environmental impact of a building is from the costs of heating and cooling, which is far greater than the sum total of the embodied energy in the material costs of the building. The Australian regulatory bodies have recognized this principle and are implementing building codes which will decrease energy consumption by 25% and more. 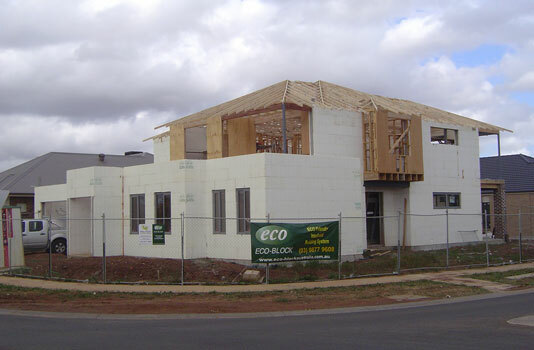 ECO-Block wall system 3.78 R value easily meets all current recommendations. Building a home with insulating concrete form saves energy and money. The insulation qualities of the walls, tighter construction, and temperature-smoothing mass of the walls conserve heating and cooling energy much better than conventional wood-frame walls. This reduces monthly energy bills. Requiring a smaller heating and cooling equipment, saving you more. The integration of this thermal value, with the benefits of low air infiltration and an insulated thermal mass, provides effective thermal benefits that far exceeds the nominal R3.5, and makes ECO-Block the ideal candidate to help a home exceed a 6 star rating.